Despite low driver spin the ball flight was stable. Multi-piece tour level ball, with a new ultra-soft, tacky urethane cover for extra control greenside, while a combination of large inner core and highly resilient inner cover result in high initial ball speeds – with 318 large, shallow dimples to produce a mid trajectory and stable, efficient ball flight. 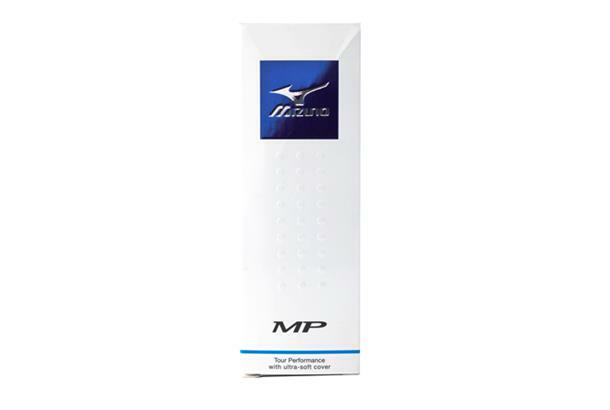 “We've tested all the Mizuno balls since 2005 as the technology progressed. It was critical we had something really special before we could introduce a ball to Europe. 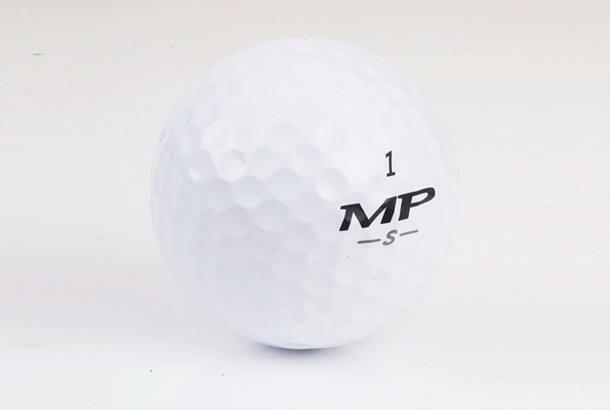 We were unanimous that the MP-S- was that special ball,” said Andy Kikidas, Tour Operations Manager. “What we liked about the MP-S is that it stops as quickly as it takes off. We could tell from the first touch of the tacky cover, that it would be incredibly responsive around the greens. As reviewed in our Balls Test: Despite low driver spin the ball flight was stable. Good ball speed plus loads of spin on any short game shot you’d face. No weaknesses. Great feel around the greens, cover feels super-tacky and even chips you don’t quite strike check up nicely. Impressive driver numbers, too. Really high spin on half wedge shots and spin was low-to-middle with the driver – ideal. You definitely need to handle these balls to get the idea of the 'tacky' comments they are quite weird in that respect, and they certainly look bright too. Driving and distance wise I don't think they have any specific advantage over others. The sound is nice from the driver, and similar to many premium balls. Distance wise they performed well enough into the wind to stay on most fairways and that's at least a placebo that will remain in my head for a while. Irons and wedges were good amounts of spin and feel was good off the scoring clubs. Similar levels of spin to the usual suspects, nothing spectacular for me on our slightly harder greens. I compared it to a z star and 330rxs later and it stopped slightly faster for me, but I'm not a great back spin person so wouldn't expect to see it spinning off the greens. Putting is a good sound, and rolls out well enough without needing extra heft to get it to the hole. Not a huge fan of the logos on the ball, as they quite a bit bigger than my putting line, and can be a little distracting. In fact I moved my line to the other side so I didn't have the big mizuno logo showing. Beware of sand, they appear to have an allergic reaction to it as they look dreadful after a couple of visits. I did wonder if the tacky comments were related to this but couldn't figure put how to get a 'sandy balls' comment into the review. Overall durability, well its still white (rather than creamy off white) when not used in the sand, or the trees, big positive from me as I'm used to the whiteness of the Srixon and Bridgestone's.